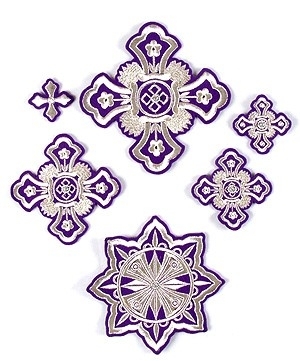 With over 35 varieties of embroidered Orthodox crosses available for sale on our website, we are easily one of the largest online stores when it comes to church embroidery and embellishments for church vestments. 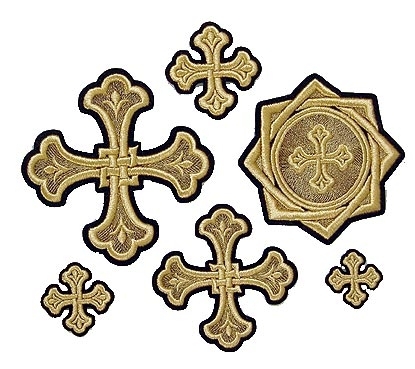 Quality is the foremost selling point of all of our cross vestment sets. 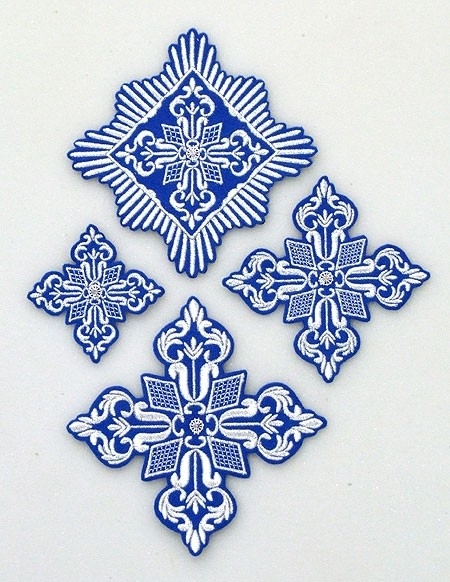 Every set that you see for sale on our website is made out of the finest original German thread – Gunold or Medeira. 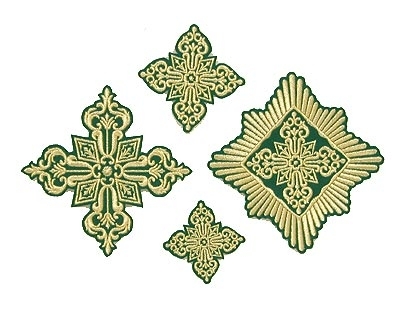 These liturgical threads not only ensure a superior finish, but they also ensure that the shine of the cross set lasts longer than most others. 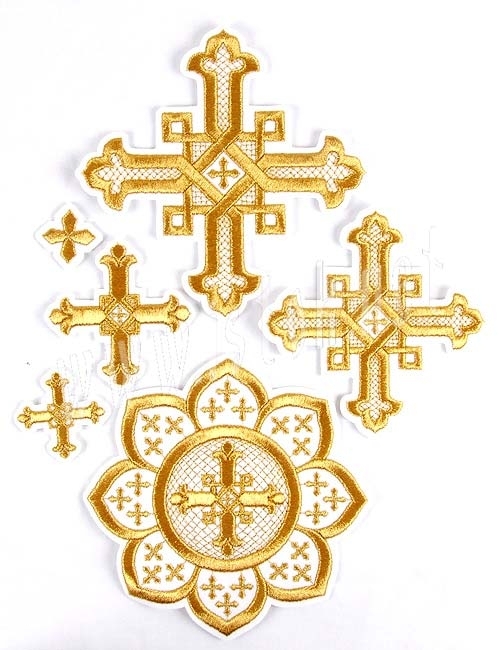 Every variety of the machine embroidered vestment crosses available with us for sale comes with variations that are suited for a Deacon’s, Protodeacon’s, Epitrakhilion’s Priest’s and a Bishops’s set. Therefore matching all your church vestments will not be a problem at all. 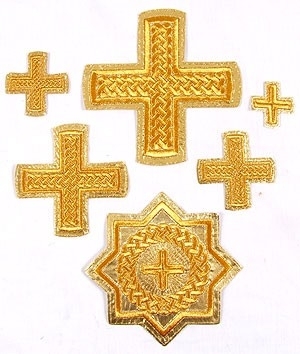 As we mentioned before – we stock over 35 varieties of machine embroidered cross sets. 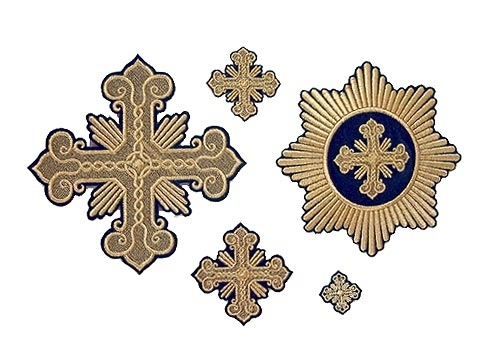 In addition to this, each of these varieties comes with 12 color options, so the vestments for your church will be truly unique. 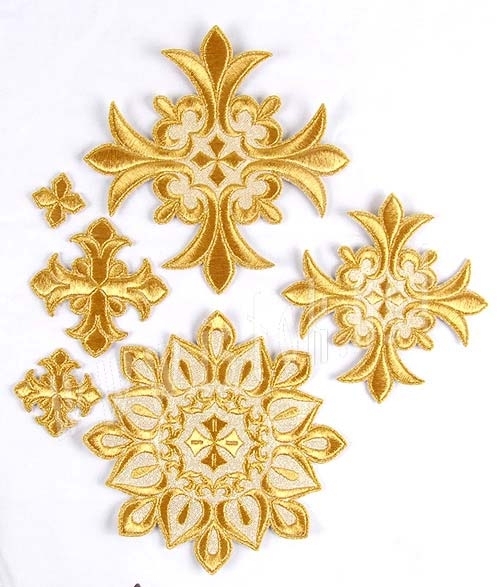 The color options available are black/gold, black/silver, blue/gold, blue/silver, claret/gold, green/gold, purple/gold, purple/silver, red/gold, white/gold, white/silver and yellow/gold. 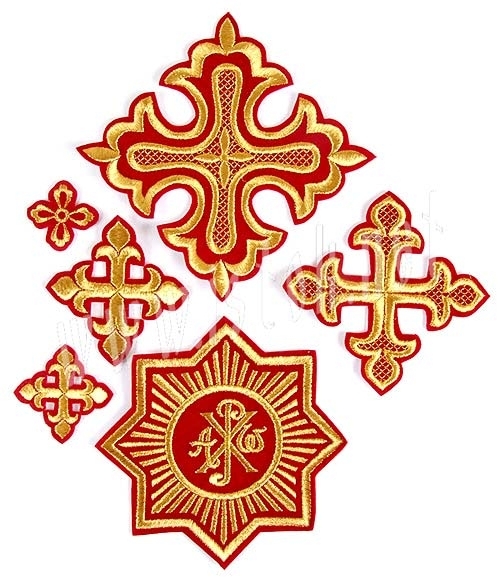 We also stock machine embroidered seraphims. 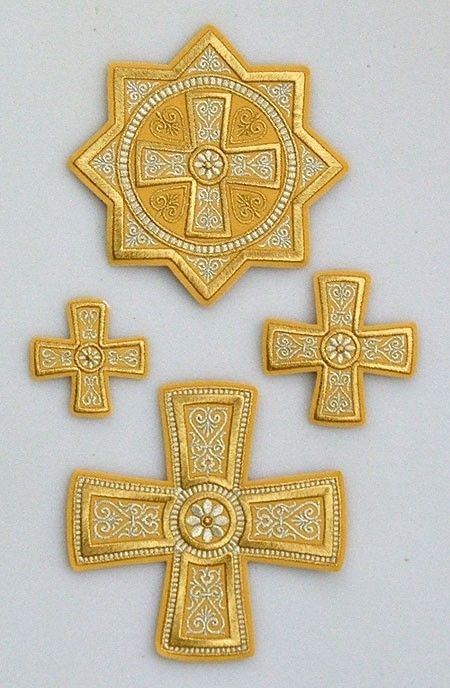 Ordering our cross sets is a very simple procedure. Once you have seen the design that you like, simply click on it and choose the kind of set that you want, i.e. 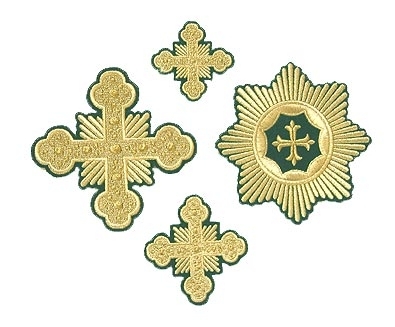 Deacon’s or Priest’s etc. Next you choose the quantity and the color combination and you are done. Add this to your cart. If you need to add different categories of sets of the same design you will need to repeat this procedure. We offer wholesale discounts for most of our products and therefore you could save up to 70% when you order from us.